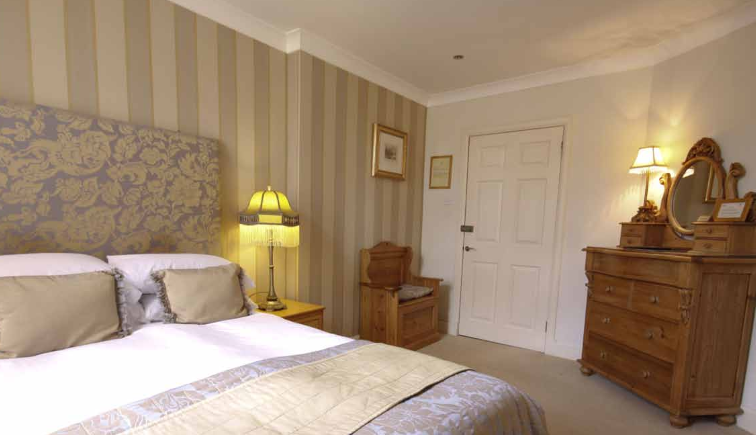 We have eight comfortable, cosy bedrooms, perfect for a short break or extended trip base. Enjoy dinner and stroll back to your room. Located in the former Victorian village schoolhouse they’re tucked well back from the road and offer a peaceful night’s sleep. All the rooms have ensuite showers excepting room 5 which has an en-suite bathroom with shower. Eight lovely bedrooms have been created from the beautifully restored Victorian village school house which sits just behind the Horseshoe. The bedrooms are rated 4 Gold Stars by the AA Guide; they all have en-suite showers, bathrobes, luxurious local handmade organic toiletries, mineral water, tea and coffee making trays with fresh milk, fresh fruit and homemade cake. We have one Premier room which, rather than an en-suite shower has an en-suite bath with shower and a slightly larger bedroom complete with eating area. With views of the stunning surroundings, our bedrooms are snug and fitted with everything you will need for a relaxing stay. Fresh fruit and homemade cake. 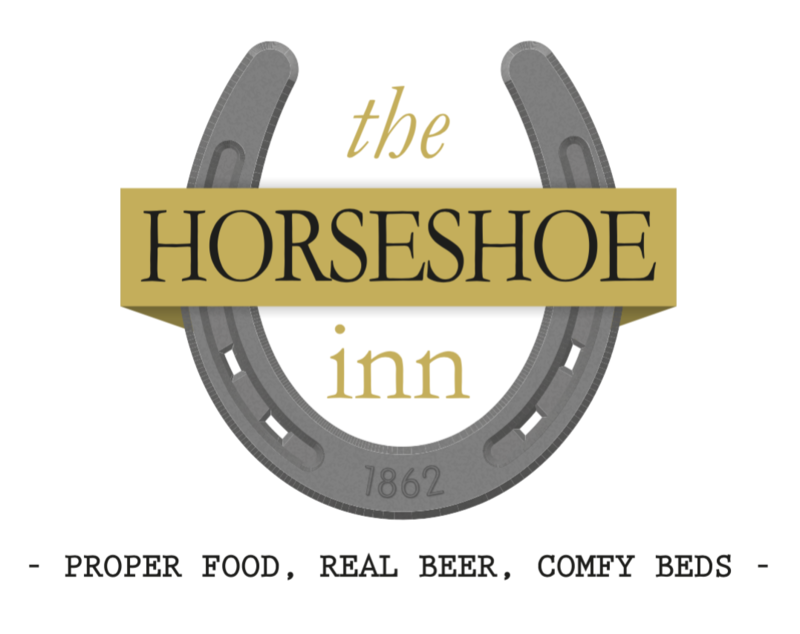 Breakfast at the Horseshoe is a meal considered as important for us as dinner and we were delighted to receive in 2012 and again in 2013 an award from the AA Guide for our outstanding breakfasts.